When an efficient pharmacy workflow allows things to run smoothly in the back end of your drugstore, everyone benefits. Customers are more satisfied because their orders are filled more quickly (and with fewer errors), and staff members are happier because they're able to work at their highest appropriate levels to provide the greatest value. The pharmacist isn't busy performing tasks that could and should be done by lesser-certified technicians, and technicians aren't spending their time completing tasks that could just as well be performed by automated (robotic) equipment. Finally, a freed-up pharmacist allows more time to spend face to face with patients dispensing advice and performing other important services, such as immunizations and blood pressure checks. There are many ways in which the pharmacy workflow can be improved in a typical pharmacy. The first step lies in identifying just how things actually get done in everyday processes, such as the filling of a prescription. By closely looking at and carefully reviewing each step involved, you may become aware of ways for improvement that have been previously overlooked. By looking at each and every step involved in the complete process, from taking in the prescription order through to delivery of the completed order to the patient, you may uncover ways to improve not only operational efficiency but also accuracy and overall productivity. The next activity is to narrow down each of the inefficiencies found and determine which of the steps being performed do not add customer value and can, therefore, be eliminated. Perhaps two separate steps can be merged into one, thereby streamlining the process. Anything that wastes time, promotes unnecessary movement during the filling process, or contributes to delays or potential errors should be eliminated if possible. Thirdly, look to see where any bottlenecks are occurring during the filling process and, most importantly, how many actual physical steps technicians are taking during each single prescription filling procedure. You'll want to count these steps and then find ways to limit the amount of walking being done. One proven method to accomplish this is to bring the work in closer to the person who's doing it. It helps to have workstations that are specifically designed for maximum work efficiency and that utilize the "cockpit" method of having all necessary equipment and supplies within easy reach, thus avoiding any unnecessary bending or reaching. 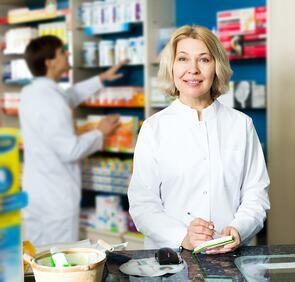 Improving your pharmacy workflow, by extension, will also improve your store's bottom line. For example, investing in some of the automated technologies now available for pill counting and high-speed dispensing not only allows for higher productivity in prescription filling, but also frees up the pharmacist to do other activities, such as patient counseling and providing of various revenue-producing clinical services. A fourth way of improving pharmacy workflow is to consider the installation of robotic dispensing equipment. A final means of improving workflow has to do with inventory management. This is one area where a JIT (Just in Time) inventory system puts you at a disadvantage. Being overstocked with inventory uses up important shelf space and reduces cash flow, while too little inventory can mean losing sales and getting customer complaints about items they require that are out of stock. Get rid of excess, out-of-date, and slow-moving stock and invest in an automated inventory program that will keep you stocked up continually at appropriate levels. 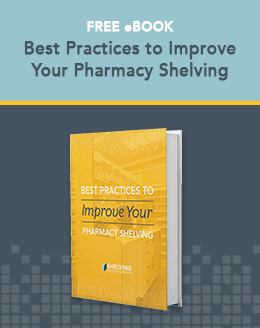 Implementing these ideas will help improve workflow in your pharmacy, but be sure to revisit the topic regularly. By keeping a keen eye on efficiency, you can quickly make changes on an as-needed basis. Additionally, it's wise to seek suggestions from staff members who may have new ideas for bolstering store efficiency.